Share in a 1,000-year-old sense of achievement that will take your breath away! Pilgrim Passport to record your adventure en-route. One of the most ancient walking routes in the world, the Spanish Camino de Santiago is popular with walkers from all over the world, who come to follow in the footsteps of travellers from the C9 onwards. The 800km journey across northern Spain has led thousands of pilgrims on a winding route from the Pyrenees across the wheat fields of old Castile to pass through Leon, the seat of Spanish Kings, full of soaring cathedrals and hushed convents, before entering Galicia. As you reach Santiago de Compostela's majestic Baroque cathedral, your route comes to a spectacular finale at the resting place of the Apostle St James. On this 12-night trip, you'll begin your walking in Leon - you'll spend two nights here, giving you ample chance to explore the historic city and its fabulous architecture. From here, in keeping with the pilgrimage route, you'll walk daily along farm tracks, paths and country lanes, enjoying sociable lunches in restaurants en route. Remember to have your Pilgrim Passport stamped in bars, hotels and churches along the way to qualify for a certificate from the official Pilgrim Office in Santiago. 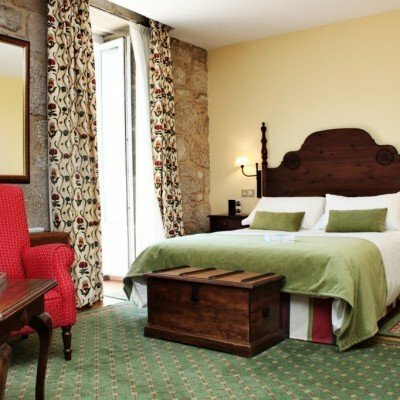 After you've reached your journey's end, you'll spend two nights in UNESCO-listed Santiago de Compostela so you can explore the city's old town, and its Romanesque, Gothic and Baroque buildings. You can even choose to attend the special Pilgrim Mass at 12 noon. You'll stay in an astonishingly diverse range of properties including restored parish houses, converted water mills and stylish farmhouses, all of them packed with period features. We have included transfers after breakfast on the first three walking days, after which you'll walk all the way to Santiago. The sense of achievement on arrival is immense, and sharing in this tradition is incredibly rewarding. Along with your Pilgrim Passport you'll notice a profound and heart-warming camaraderie with other walkers, as day by day you fall in and out of step with people from all over the world, some of whom have been walking for months covering hundreds of miles! You'll also find complete strangers cheering you on and wishing you 'Buen Camino!' ('Enjoy your walk!'). After arriving at your historic hotel in the heart of Leon, head out for dinner in one of the many restaurants and tapas bars on your doorstep. Your day starts with a guided tour of Leon's magnificent gothic Cathedral which is often called the 'House of Light' and a visit to the Basilica of San Isidoro, one of the most important Romanesque churches in Spain and resting place of Leon's mediaeval monarchs. You will then receive your pilgrims passport at the local albergue. After this, you are free to explore the rest of Leon which is famous for its historical and architectural heritage, perhaps visit the Casa Botines, a creation of the famous Antoni Gaudi or the Museum of Contemporary Art (MUSAC) which is also is a superb example of modern architecture. A one-hour transfer takes you to Cruz de Ferro, the highest point on the Camino, marked by a pre-Roman cross. The Camino winds downhill through fragrant pines where the Knights Templar once protected pilgrims from bandit attack. A path lined with wild chestnuts, cherries, peppers and fennel leads to riverside Molinaseca. After a short transfer (30 mins), you ascend the Rio Valcarce valley, climbing into moody oak woods strung with lichen and strewn with early purple orchid. 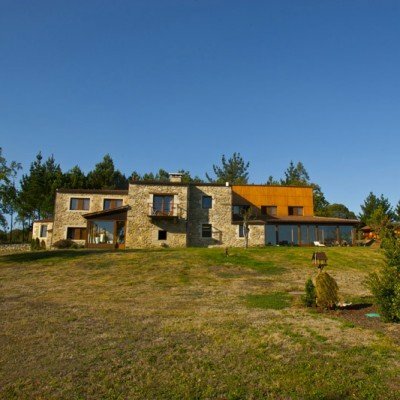 Reaching O Cebreiro, an C11 village in the heart of the Cordillera Cantabrica, you can walk to the viewpoint above the village for a perfect sunset and views over four ranges of hills. You'll then return along the narrow, cobbled streets, past traditional thatched houses known as pallozas. Today begins with a short transfer to Triacastela. You'll hear the Monastery of Samos's bells ringing as you meander between the heather-clad villages that overlook it. 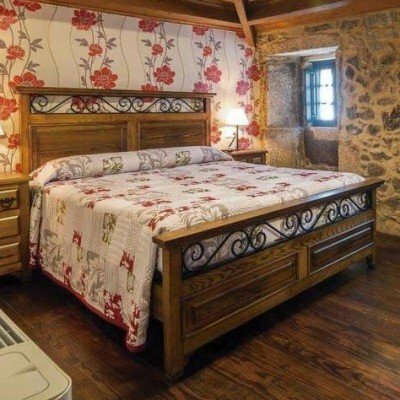 On reaching Sarria, the antiques capital of Galicia, you'll be whisked to Javier and Raquel's elegant country rectory (10 mins), complete with chapel and al fresco dining patio area. 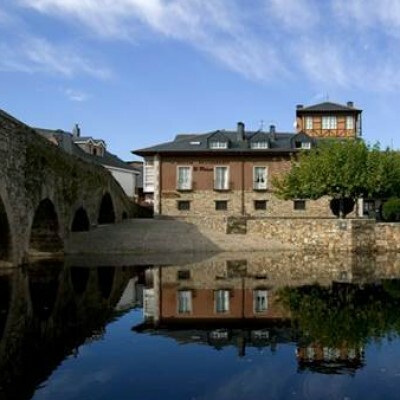 A walk along the Roman bridge leads you out of Sarria up the Celerio Valley, where you'll criss-cross the hamlets of the southern flank of the Sierra del Paramo. You'll then descend into Portomarin - the original village was drowned by the Belesar Reservoir, and houses still shimmer below the surface! Visit Portomarin's church then follow the Torres stream passing between cornfields lined with ox-eye daisies. Stamp your Pilgrim Passport in country churches dedicated to the Order of St James before arriving at your beautifully restored rectory. Follow country lanes leading past fortified farmhouses into the hillside town of Palas del Rei (Palace of the King) as you enter the province of A Coruna. 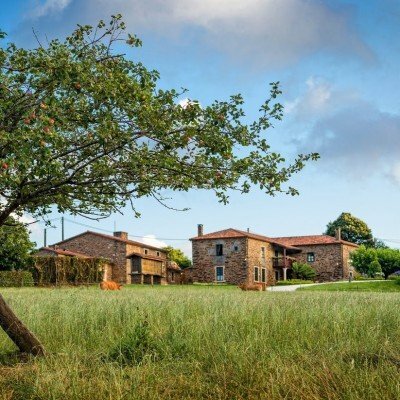 You'll pass typical raised Galician granaries and see chickens scamper across narrow streets as you enter vineyards, with views east to the Montes del Vacaloura. Today's first stop is Melide, a thriving country town with tavernas brimming with locals enjoying Galician seafood in specialist pulperias (octopus restaurants). Drop into the Romanesque church to admire the frescoes, before lanes lined with bright yellow celandine lead you into the lively market town of Arzua. The last stop is your elegant manor house, surrounded by tranquil countryside, just outside the town. Arzua's colonnaded streets lead into open country where local farmers wear berets as they tend vines and build haystacks with pitch forks. Your route then rises and falls through river valleys crossing rushing streams. 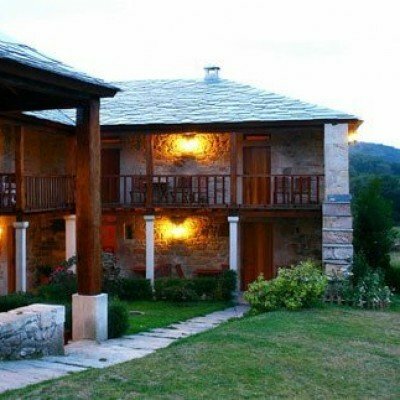 This evening you can marvel at Javier's breathtaking converted water mill, where original machinery has been turned into spectacular period features! It's an exciting time as you set off towards Monte do Gozo, the Mount of Joy, where pilgrims of old caught their first glimpse of the spires of Santiago. It is certainly busier these days! On reaching Santiago's historic centre, the atmosphere is alive with chatter as a myriad of pilgrims reach their journey's end below the cathedral's spectacular Baroque facade. Drop into the Pilgrim Office to collect your certificate, before checking into our historic hotel near the old marketplace, still a riot of colour! You can choose to attend the Pilgrim Mass (at 12 noon) before exploring this beautiful city. The old town has Romanesque, Gothic and Baroque buildings and has been declared a UNESCO World Heritage Site. The oldest monuments are grouped around the tomb of St James and the cathedral, which contains the remarkable Portico de la Gloria. Take a taxi to the airport (payable locally, approximately 15â‚¬). 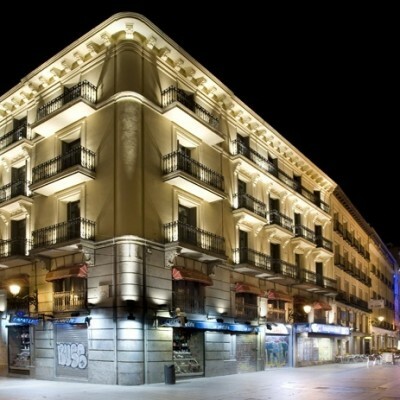 The price includes a rail ticket between Madrid and Leon however the start point for this holiday is the Hotel Posada Regia in Leon. Due to the linear nature of this walk, it is not possible to fly into Santiago. After long tiring days of walking, it was lovely to relax in rustic accommodation with comfortable beds, a good en suite and decent food. We thoroughly enjoyed 'Walking the Way of St. James.' The landscape was thoroughly unexpected in Galicia, - very lush, green and much like the U.K. and Ireland. It was particularly special to make friends (although very briefly) with people from all over the world. This holiday provides a stress-free camino experience for those who either do not wish to or cannot carry a full back pack. Accommodation and meals are of a significantly higher standard than is available in the hostels and dormitories along the route. As well as completing the 100km required for the compostela, it combines some interesting earlier sections of the camino as a bonus. The guided tour of Leon provides an excellent introduction to the camino combined with the visit to the impressive Cathedral and other historic buildings. It is well worth extending the holiday to spend two nights in both Leon and Santiago de Compostela. We would like to say how fantastic the man was who gave us the mini-moke ride from our hotel back into Portomarin and how hard our hostess (Maria) worked to keep everybody happy in the Casa de los Samoza. Overall it was a great holiday. We throughly enjoyed ourselves. It was hard work covering the average 12 miles/day. We enjoyed the 8 mile day with some 'free time' in the afternoon and felt very at home at Casa de la Somoza that afternoon. Enjoyed the company of the other 4 Headwater walkers we ate and walked with. Exciting to arrive at such an interesting and varied accomodation with such a variety of ambience and fare. We were told on the 'phone when booking that we needed to get the 6.30 flight from Stanstead in order to have time to catch the train from Madrid to Leon. In fact it only took a short time by taxi to the station where we waited 4 hrs for the train. 2 hrs extra in bed and 8.30 flight would have got us off to a better start! Thank you arranging all the accomodation and transfer of luggage which worked so well. Loved Leon and found it such a generous place - we kept being given little extras, whether from market traders or patisserie. Route instructions generally good, but not clear that we needed to walk almost to the railway station to find the Hotel Roma at Sarria. That was a long last k.
Also the last k to Pazo Santa Maria directions could have been clearer with more detail. Our pilgrimage to Santiago de Compostela was a magical experience, and spiritually uplifting. We encountered so many memorable characters and different nationalities along the way, all with different stories and experiences, which will endure as we reflect on our journey in the years to come. 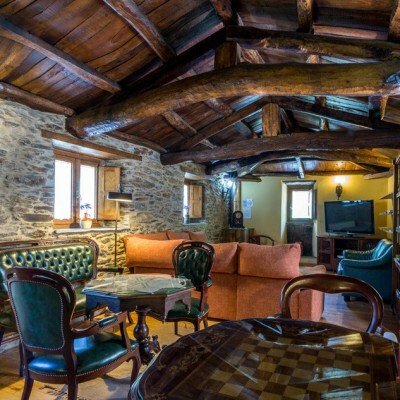 Please see above comments - it was a wonderful experience walking the Camino but I was disappointed with the seesaw quality of the places we stayed - a couple lovely, several really miserable. Food poisoning episode only helped by the fact that there was a doctor on the trip who helped me. The venue seeemed unconcerned. Really spoiled the last few days of the holiday. Thank you for taking the time to complete your post-holiday questionnaire following your holiday this summer to Spain. Firstly, we were sorry to see you felt this holiday did not live up to your expectations with regards to the standard of some of the accommodations and the walk ratings. Please be assured that we have discussed your feedback in detail with our local agents, he will in turn discuss with our local suppliers and measures will be put into place to improve where necessary. We were also sorry to see that you were unwell at the end of your holiday; our agent was also disappointed to hear this and advised us that had you mentioned this to him he would have most certainly arranged onward transportation for you. We have not received any further complaints regarding sickness over this period or throughout the rest of the season. Our agent has advised us that food poisoning is a very rare occurrence in this region as the suppliers are used to dealing with high volumes of pilgrims and all of the food is prepared fresh daily. However, we will continue to monitor the feedback we receive, and will ensure it is cascaded back to the suppliers should another incidence be reported. We were also sorry to see that you felt the accommodations were poor in places. 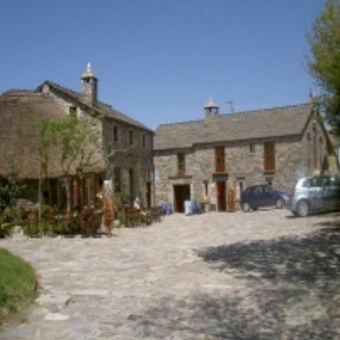 Due to the amount of walking done on this holiday, we try to use accommodations which are on or close to the Camino and because of this the accommodation standards can vary, as reflected in our brochure and web page ratings, however, please be assured that we do realise how important it is to maintain our high standards of accommodation and service, and we do appreciate we cannot afford to let our standards slip. With this in mind, our agent continually monitors any feedback received and provides feedback to both Headwater and the specific suppliers as appropriate. He also advised us that there are newer Albergues being built, however, these do not comply with our standards as most of them offer shared facilities and are mostly dorm type rooms with bunk beds and this is not the type of accommodation we feel is suitable for our customers. In closing we would like to thank you for your constructive feedback. Everything extremely well-organized - comfortable and interesting accommodation. Would thoroughly recommend Headwater. 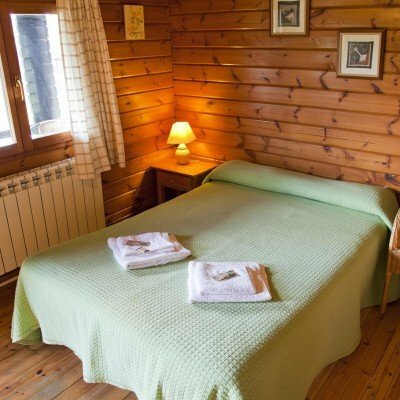 The accommodation was variable between wonderful and very simple. We were suprised by how few vegetables we were available both in the accommodations and in restaurants. At the end of some of the walk sections the instructions/directions were less clear and this was a problem when you are tired at the end of a days walking. We were part of the party with the Raeburns were there was a muddle about our tour of Leon which we missed out on. That shouldn't have happened. Headwater had thought of everything and it's attention to detail that counts on a holiday like this. Thank you ! Every Friday from 26th Apr 2019 to 18th Oct 2019, for 12 nights. All dates are subject to availability, please contact us to check. Due to the tailor-made nature of our holidays, we need a little more information in order for us to check availability for Following St James' Way. Simply complete the form below and a member of our sales team will contact you (when it's most convenient for you) to provide availability information, travel options and an accurate price. Of course there's no obligation, but if you do wish to proceed with a booking they will be on-hand to assist you throughout the process.